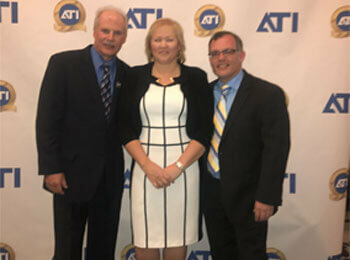 In the first paragraph—Precision Auto was honored to be named 2017 Top Shop in the nation by Automotive Training Institute’s (ATI) president Chris Frederick. Precision also earned the Top Shop Award in 2014 and becomes one of only three shops in the country that have received this honor more than once. The award was presented in the final hours of a 4-day conference that is held annually in the different resort location each year. ATI evaluates over 1500 of the best independent auto shops across the United States and Canada, looking for the best managed auto shop in the industry.